In the run-up to this coming weekend’s Brighton Bear Weekend 2018 logo launch at Prowler Brighton (Saturday 27 January, 5:00 to 7:00pm), we chatted with the logo’s designer, the highly talented Bobo-Bear. 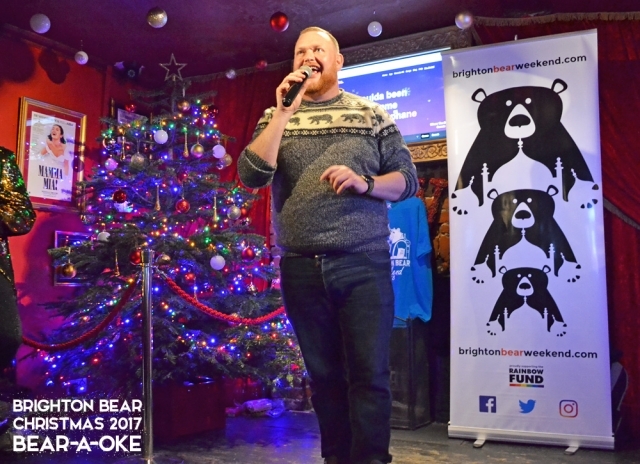 His amazing bear-themed designs were a huge hit last summer at Brighton Bear Weekend, Brighton Pride and many other events around the world, and he has a whole load of great new stuff in the pipeline! You can read our new interview with Bobo-Bear here. 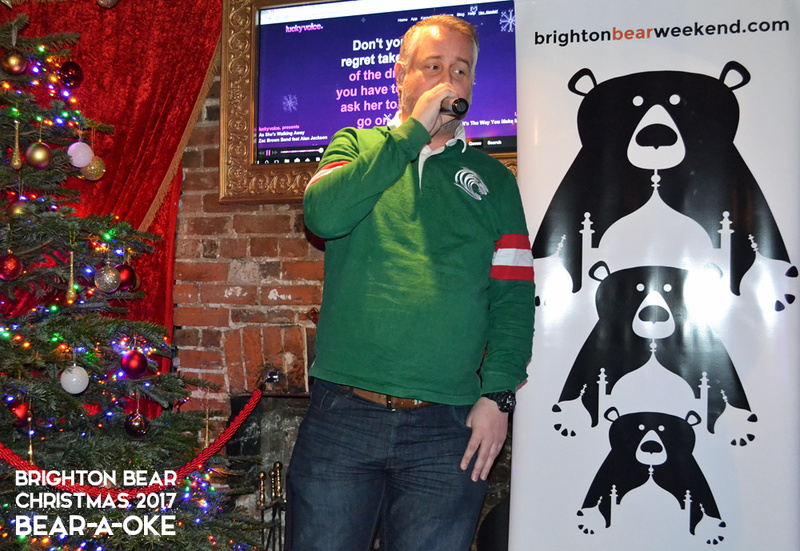 We’ll be interviewing Bobo-bear again soon, but in the meantime you can meet him at our official logo launch at Prowler in Brighton on Saturday 27 January, from 5:00 to 7:00 pm. 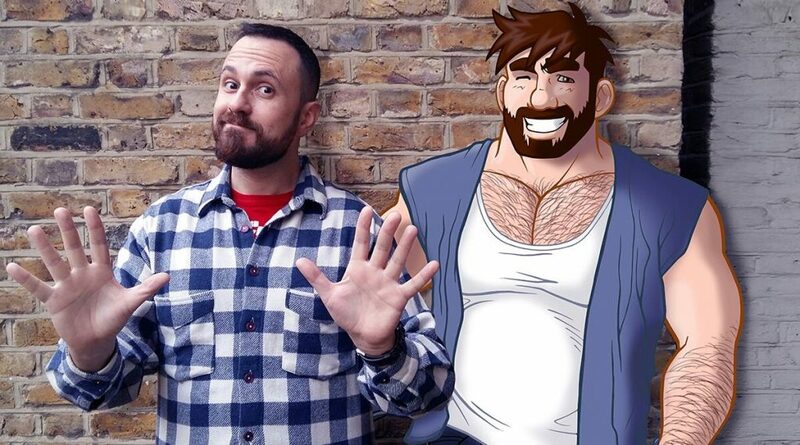 He will be there to chat, sign your gear and pose for selfies! 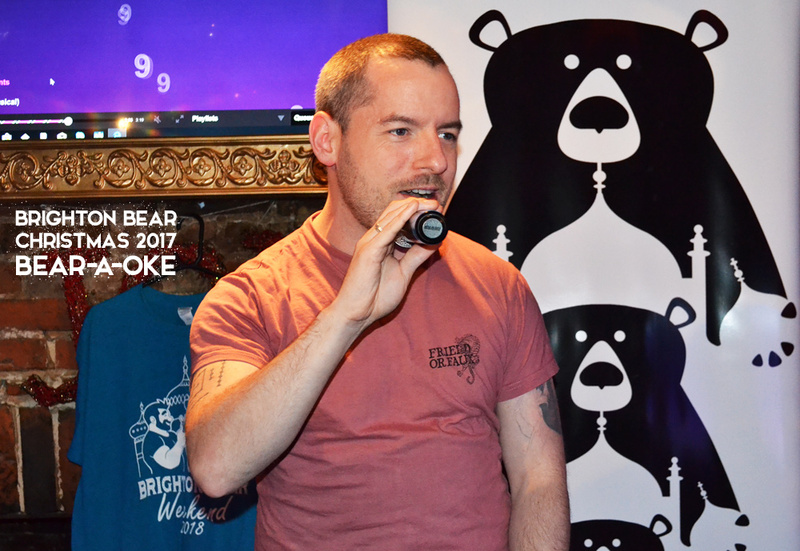 You will be able to buy our brand new t-shirts and the extremely collectible, very limited edition (only three available in each size) hoodies featuring the new logo. 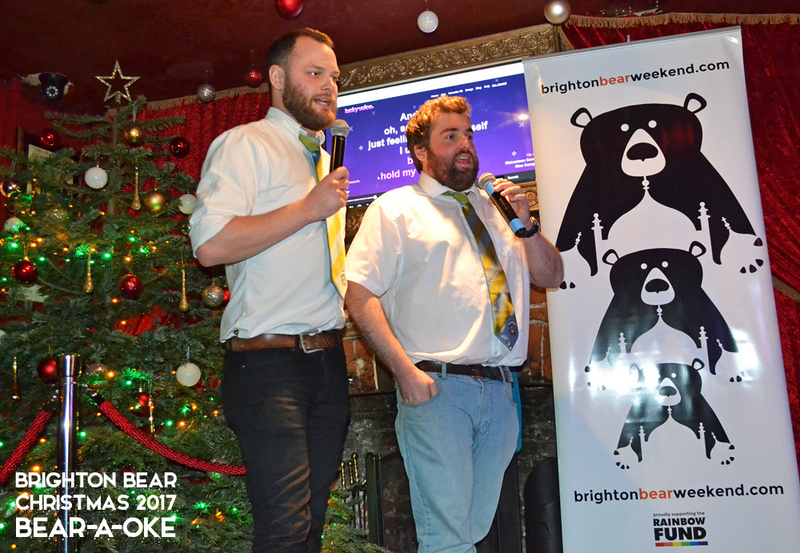 We might even throw in a few nibbles and drinks, so come down and join in all the fun of the bears! Our first A Very Beary Christmas weekend (in association with Bear Patrol) was a rip-roaring success, with three packed events and a fantastic sum of money raised for the Rainbow Fund! 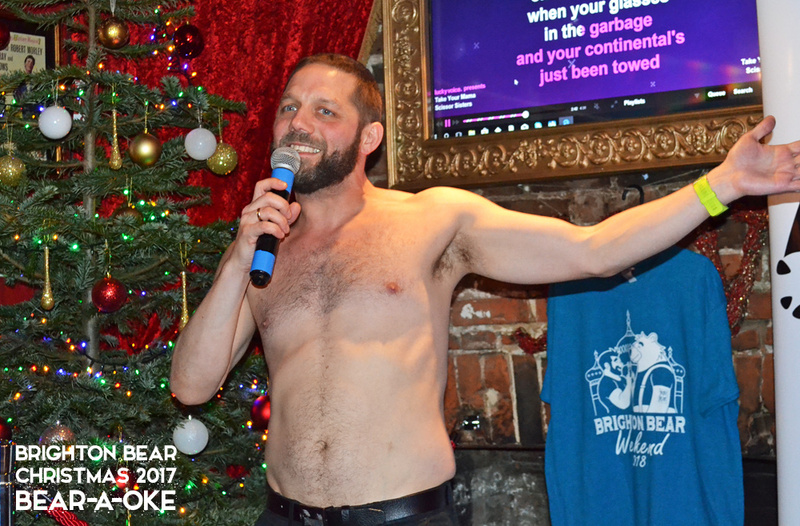 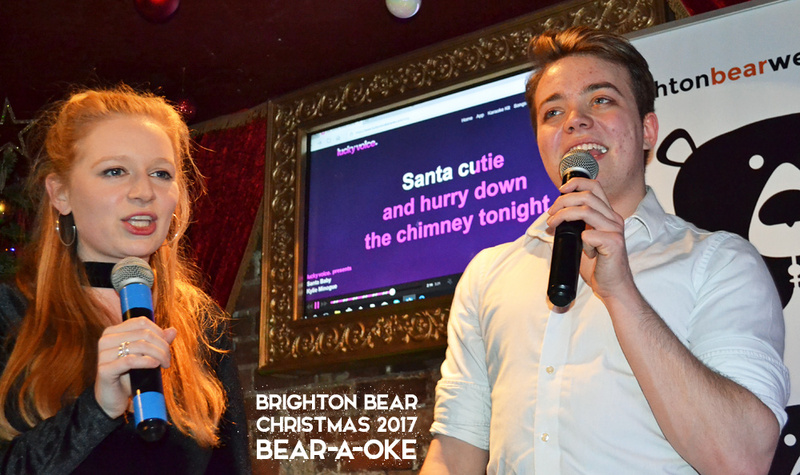 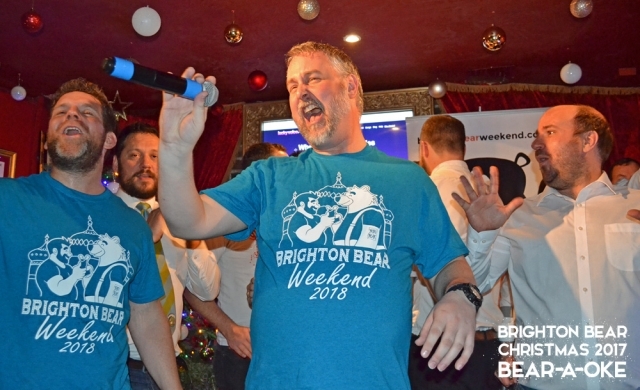 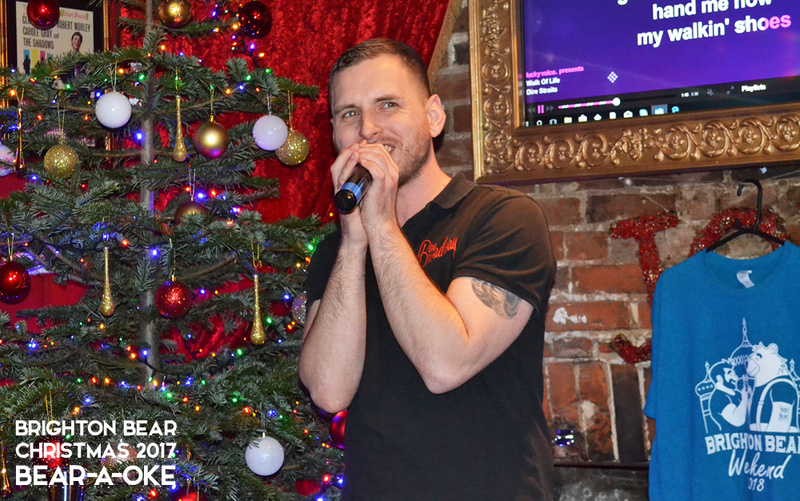 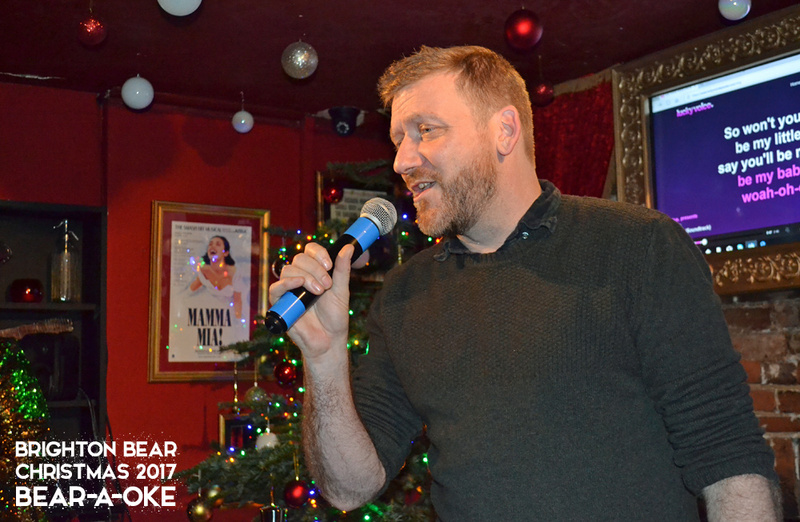 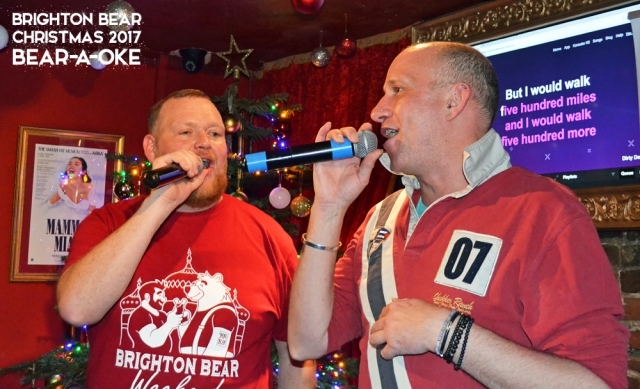 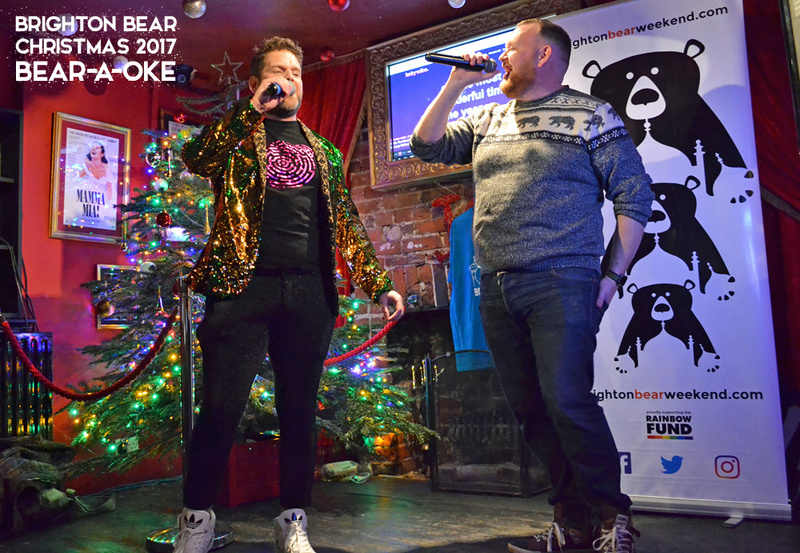 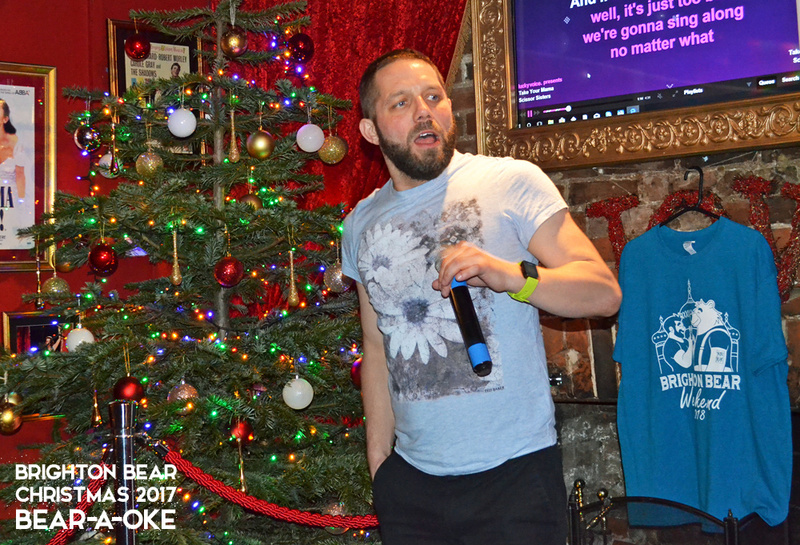 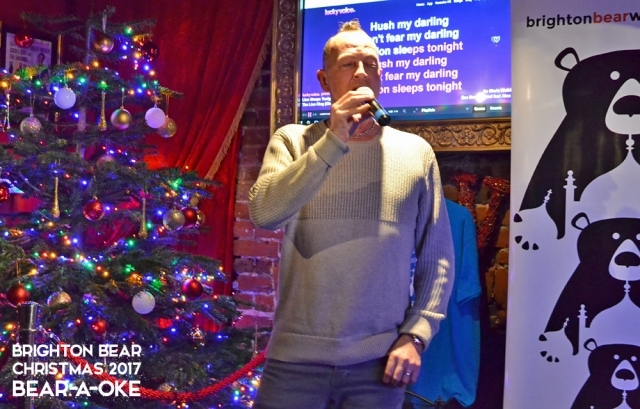 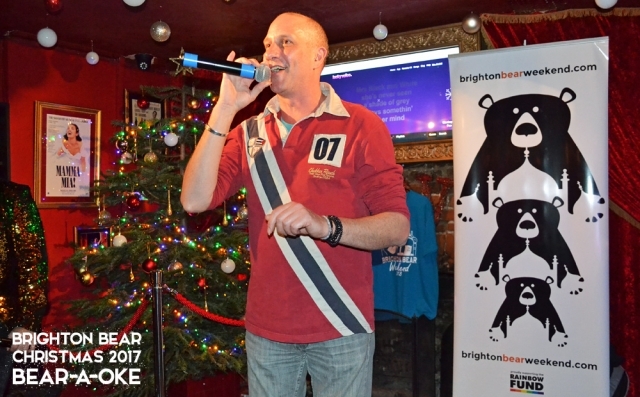 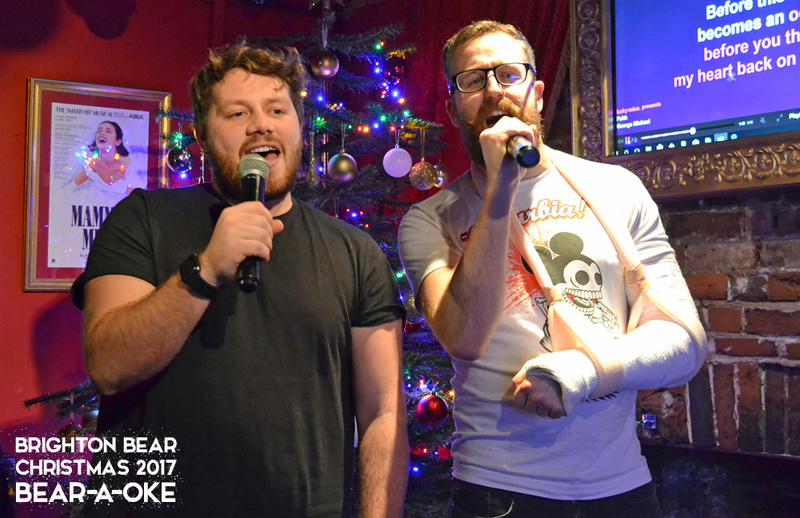 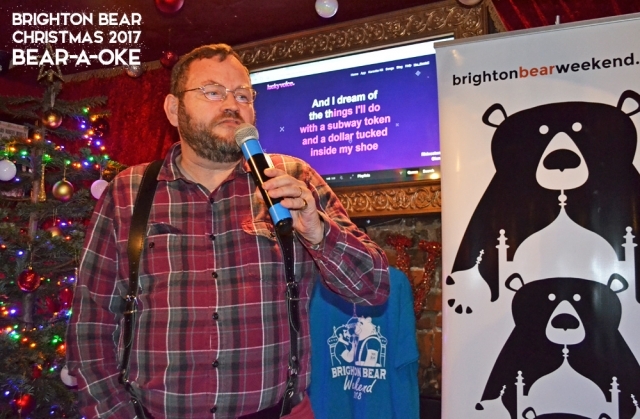 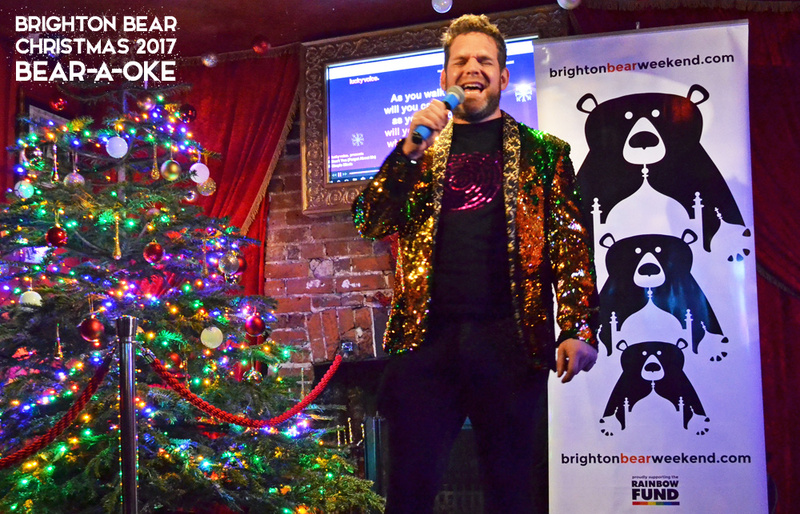 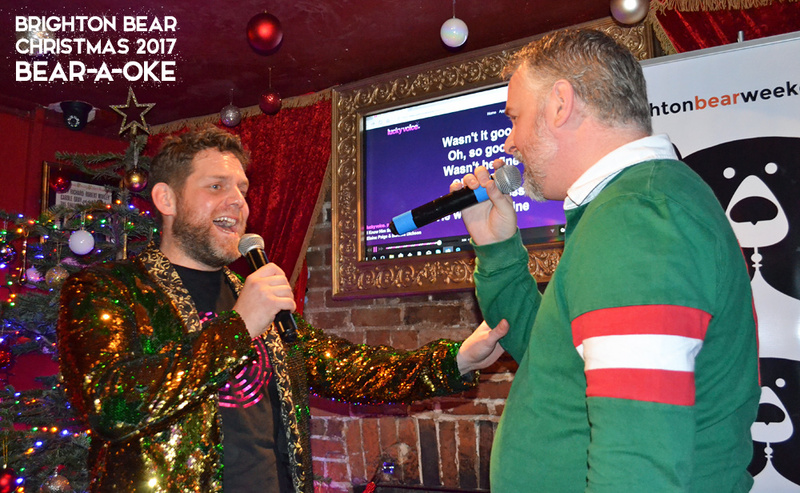 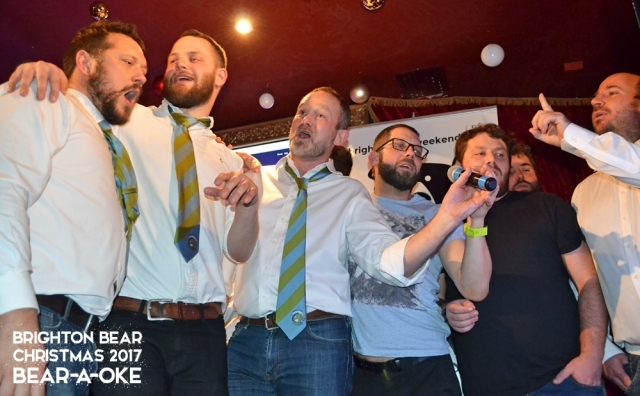 Check out our gallery of photos (below) from our Brighton Bear Christmas Bear-a-oke karaoke evening at Bar Broadway, which took place on Saturday 9 December. Click any photo to make it bigger. 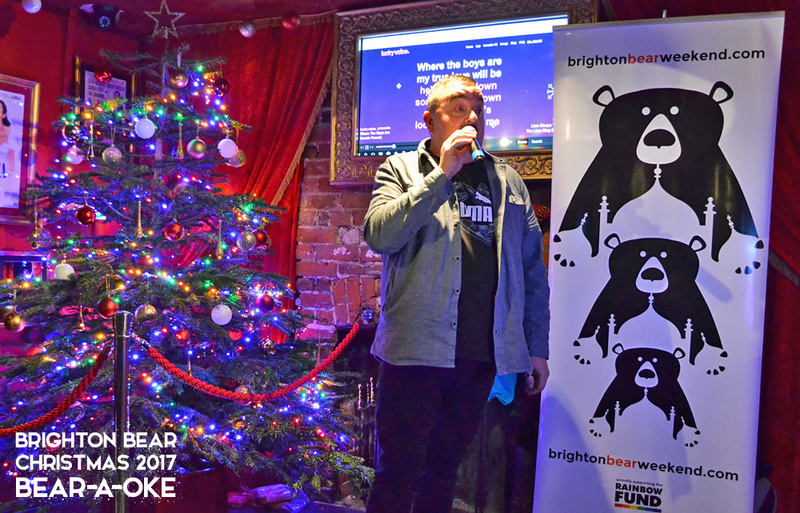 Thank you so much to the wonderful Jon Borthwick and Chris Hibbert for doing such a fantastic job hosting this event, as always, and to everyone else who so generously donated their time!